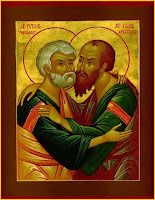 Today, the Christian world celebrates the Feast of Saints Peter and Paul. In the reformed Roman calendar, it is recognized as a solemnity, and is a holyday of obligation in many countries (if not the USA). The traditional Roman calendar notes it as a double octave of the first class. Either way, it's up there on the food chain. 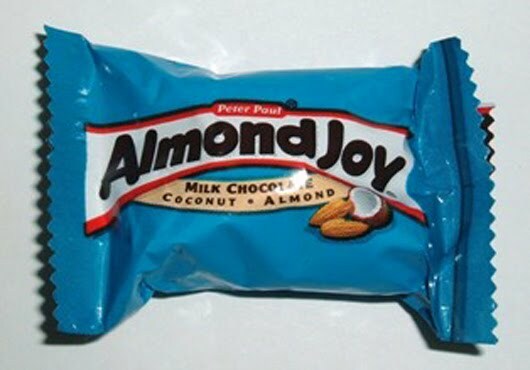 Eventually Peter Paul merged with Cadbury, which later merged with Hershey. Not only is there a recipe for the Mounds and Almond Joy confections on the internet, but you can also bake a cake out of them, with recipes to be found here and here. Personally, I can't think of a better way to celebrate this feast than to bake a cake out of something that says "Peter Paul," unless the gang at Fisheaters has a better idea. Did you ever attend Magdalen College? FAMW: We Are All Cheeseheads!